California Gov. Jerry Brown signed legislation on Tuesday that prohibits the us of drones by the paparazzi to film/photo people on private property. This follows a campaign by several lawmakers an a raft of complaints by celebrities, not least Miley Cyrus and Kanye West. 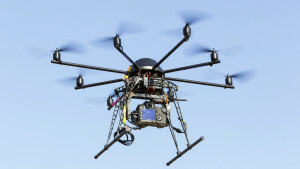 Physical invasion of privacy is now defined as flying a done over private land with the purpose of taking footage whether it be a video or picture. Assemblyman Ian Calderon wrote the legisliate, he has been pishing for tougher drone privacy laws since August last year.